The euFem project, a joint effort of CEIS Tor Vergata together with OECD, the University of Southern California and the Stanford University, is directed by Vincenzo Atella and managed, maintained and developed by the Health Econometrics, Economics and Policy team at the Centre of Economics and International Studies (CEIS) of the University of Rome Tor Vergata. euFem is a dynamic microsimulation model with the goal of reproducing individual health trajectories as well as behaviours in terms of healthcare choices. It applies user-defined health policy rules to harmonized micro-data from the Survey of Health, Ageing and Retirement in Europe (SHARE). The effects of different policy scenarios on health status, healthcare choices and health expenditures can then be analyzed, in a comparable manner, through a wide range of summary statistics for the population of each country and for the considered countries as a whole. FIM is a dynamic microsimulation model with the goal of reproducing individual health trajectories as well as behaviours in terms of healthcare choices. It applies user-defined health policy rules to micro-data from the Health Search Database (HSD), a longitudinal observational database run by the Italian College of General Practitioners (SIMG) since 1998. The HSD contains patient level data from Electronic Patient Records (EPRs) collected by General Practitioners (GPs) throughout Italy. The effects of different policy scenarios on health status, healthcare choices and health expenditures can then be analyzed, in a comparable manner, through a wide range of summary statistics even at regional level. 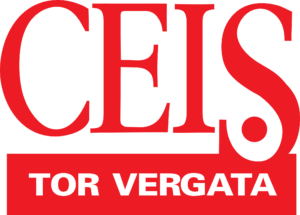 The FIM project, a joint effort of CEIS Tor Vergata, is directed by Vincenzo Atella and managed, maintained and developed by the Health Econometrics, Economics and Policy team at the Centre of Economics and International Studies (CEIS) of the University of Rome Tor Vergata. euFem and Fim can be used in Many Different Ways in Different Contexts.